Join us at our next event & follow us on Social Media for updates! 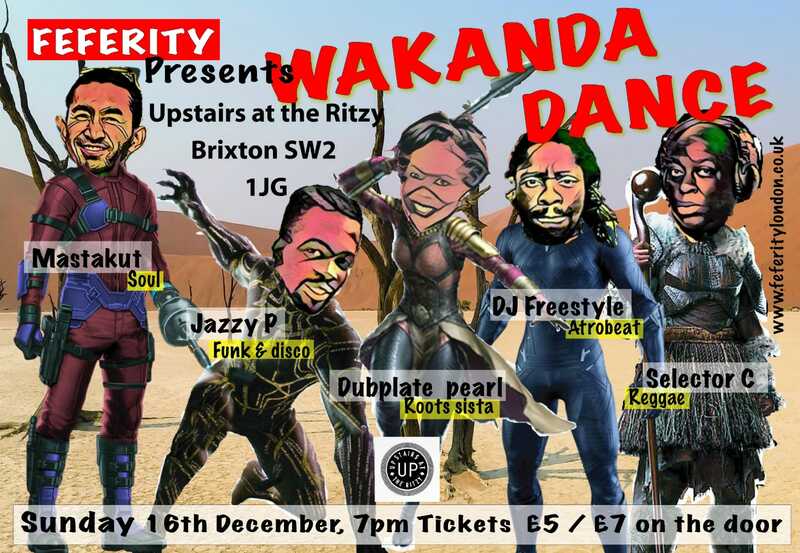 Panther with the powerful rhythm of vibranium drum-drenched Afrobeats, to set your heart thumping. Ulysses Klaue kicks the night off on a high as MASTAKUT spins sleek and stylish action packed Soulful rays. JAZZY P as Erik Killmonger plays it smooth and easy as he lays down heartfelt soul and classic disco to show off your grooviest moves. M’Baku’s powerful deep vibrations resonate with SELECTOR C’s offering of bassquaking reggae from the mystical realm, to send you off with positive vibes. Show off your flamboyant best! Exciting prizes to be won on the night!!! Come to our next event & follow us on Social Media to stay in the loop!